How to Generate ERD from DDL? Current: How to Generate ERD from DDL? 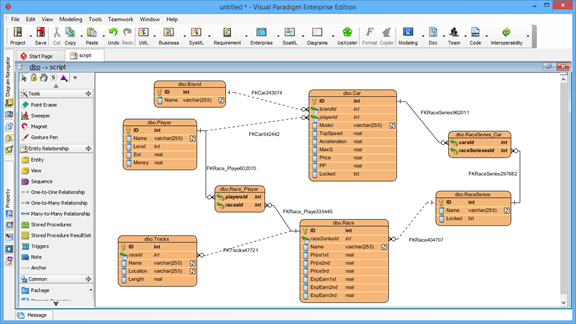 Visual Paradigm enables you to create a database model from an existing database. Entity Relationship Diagram (ERD) graphically shows the structure of a database so you can see how database elements, such as tables and views, relate to each other without viewing the actual data. This can streamlines creating a new database or understanding the structure of an existing database. 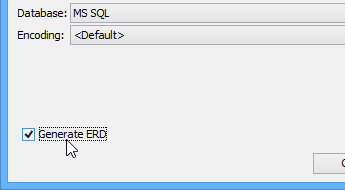 For existing database, ERD can be generated from database schema through reverse engineering. However, what if your database is not accessible to perform the reverse engineering? (i.e. the production database is not accessible for such purpose). So what is the alternative to achieve this, when we encounter this kind of situation? Actually, most of the Database Management System (DBMS) such as Oracle, Microsoft SQL Server, MySQL, etc... support to export the schema of database into a Data Definition Language (DDL) file. 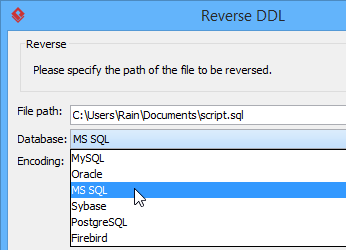 In this tutorial you will first learn how to reverse the DDL file, and then learn how to visualize your database in ERD by reversing engineering the DDL file. A video demo is also provided at the end of this tutorial. 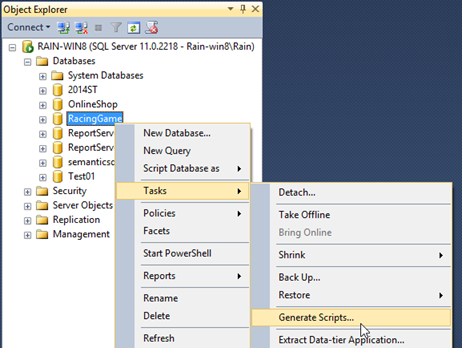 Open the SQL Server Management Studio and connect to your database. 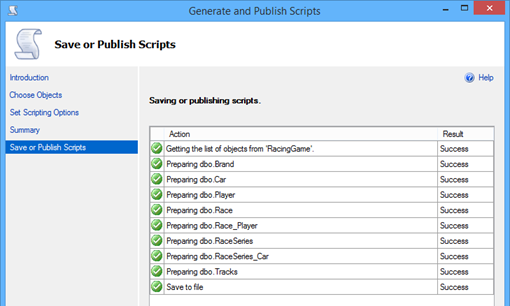 Click Next in Generate and Publish Scripts dialog. 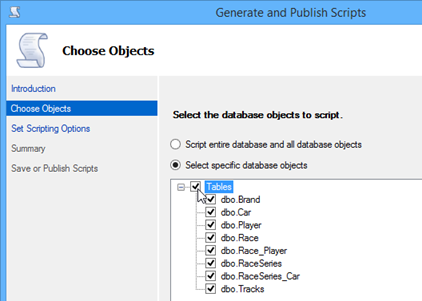 Choose Select specific database objects, then choose all Tables in the list and press Next to proceed. 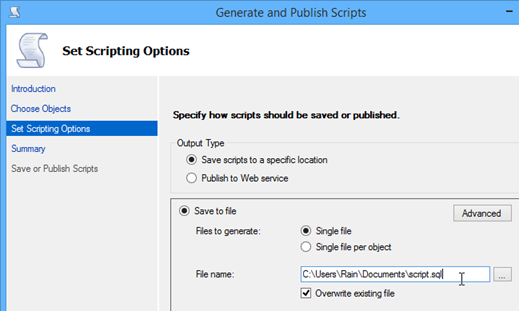 Specify the path for outputting the script file in the File name field. 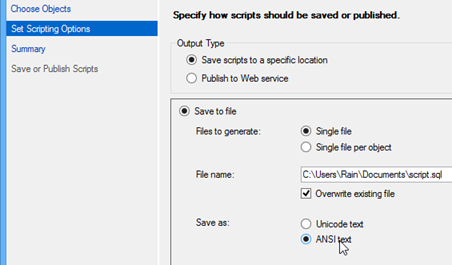 Select ANSI text in the Save as field, then press Next to proceed. 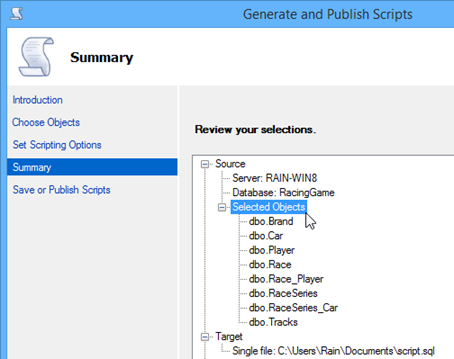 Review the selection and press Next to start generating DDL script. Press Finish when the process is done. For MySQL, the database schema can be exported by using the mysqldump command with the following arguments. 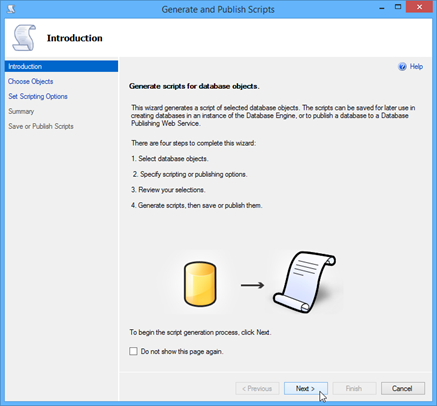 This will extract the schema of your specified database into a script file in the path you specified. For Oracle, the database schema can be exported by using the expdb command with the following arguments. 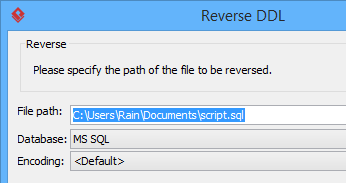 This will extract the schema of your specified database into the dump file path specified under the dumpfile argument. For PostgreSQL, the database schema can be exported by using the pg_dump command with the following arguments. Specify the path of the DDL file we exported in previous step in the File path field. 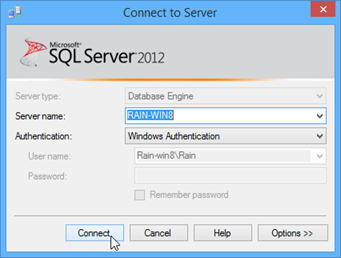 Specify the database of the DDL file which was created from the Database combo box. Select Generate ERD check box to allow Visual Paradigm to generate the ERD for you automatically. After that, the ERD of your database will be generated and you can analyze it or simply work on it.